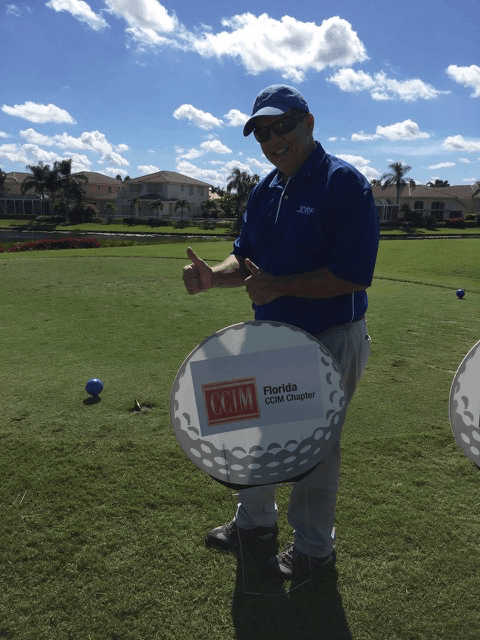 The East Coast CCIM District held their 4th annual charity golf tournament on October 26 at PGA National Golf Club in Palm Beach Gardens. 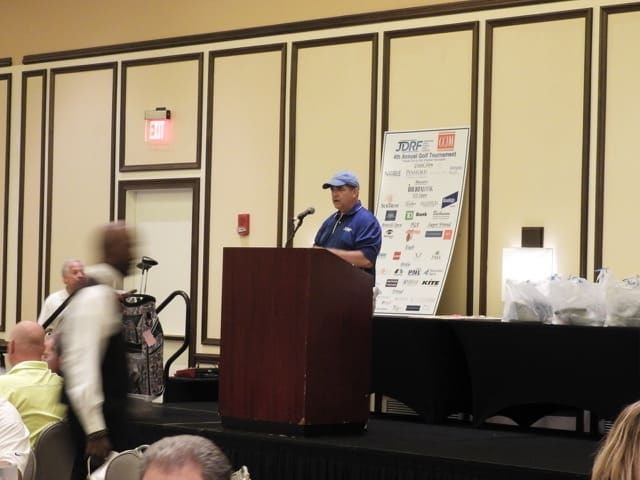 “We had 144 golfers and raised nearly $100,000 for JDRF. 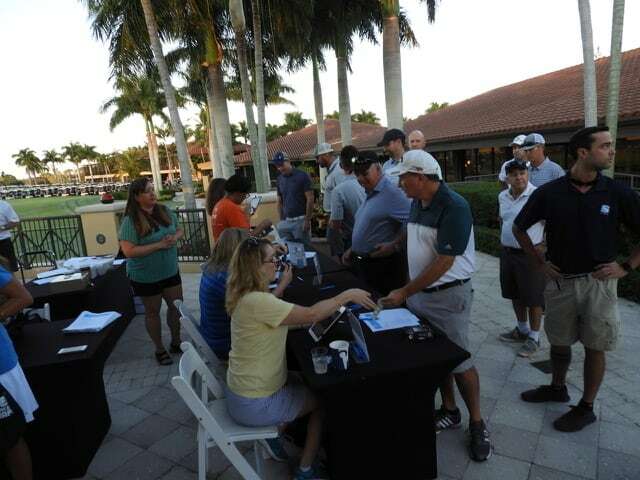 Additionally, the tournament funded $4,000 towards our next East Coast District perpetual scholarship, as well as raised $1,000 for a second scholarship we are awarding this year to an East Coast District member,” reports Terry Torres, CCIM, President, Broker, SLC Commercial, Inc. of Vero Beach. 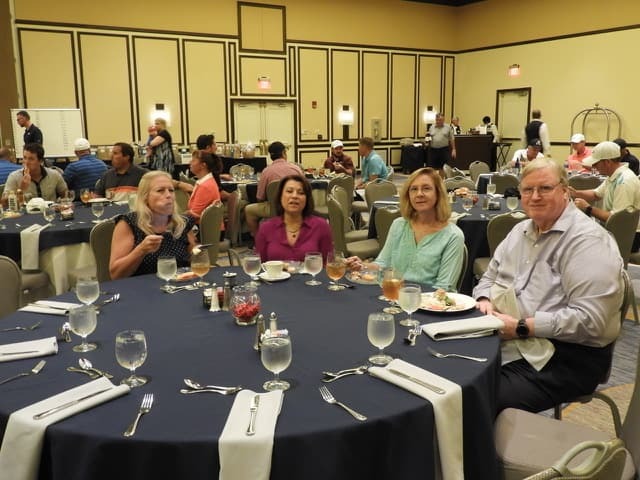 “We had nearly 200 people attend the luncheon with aggressive bidding on a huge treasure trove of raffle and silent auction items. 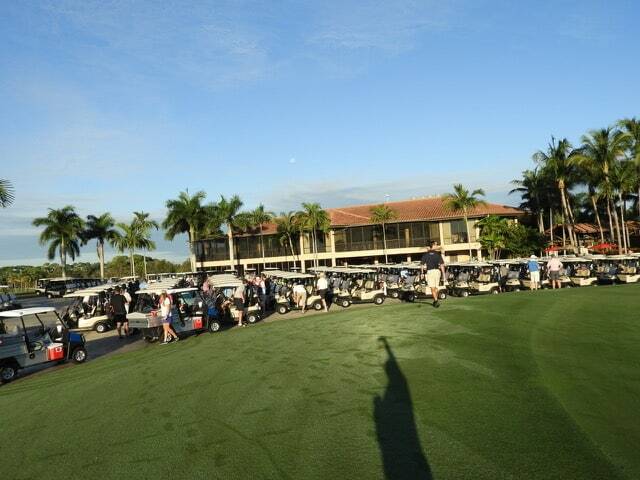 The event was a rousing success and topped our totals for last year. 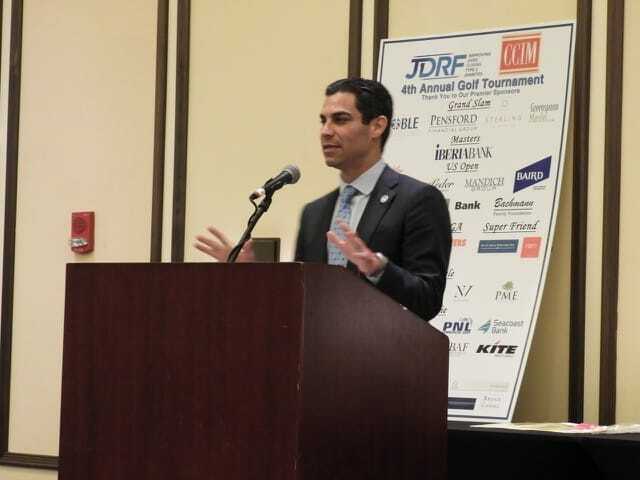 Kudos to the Tournament Chairperson, Neil Efron, CCIM and his entire team and many thanks to all of the participants for their generous support of this worthy cause to fund a cure for juvenile diabetes and support the CCIM East Coast District scholarship fund,” he added. JDRF is the leading global organization funding type 1 diabetes (T1D) research. Founded more than 45 years ago by parents determined to find a cure for their children, it exists for the millions of people affected by this disease. “That’s why we support the best researchers doing the most promising, cutting–edge science to cure, prevent and treat T1D,” the group explains. Mayor Suarez of Miami auctioning off a day with the mayor and “Pit Bull” the entertainer. 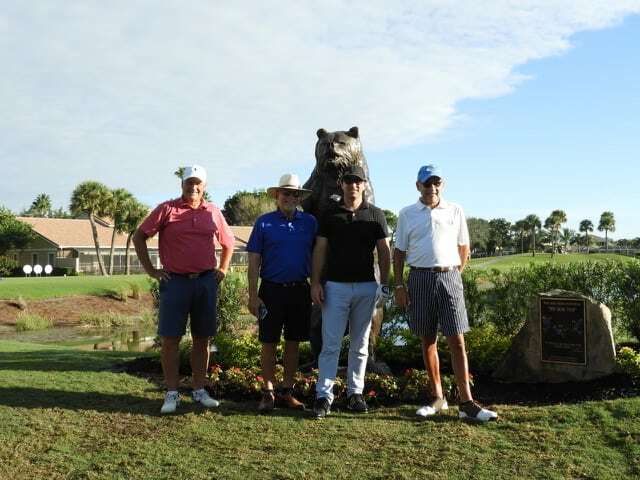 Foursome at the infamous “Bear Trap” that includes EC District members Terry Torres and Cooper Osteen. Same foursome with Wayne Player (center) son of 2-time PGA Master’s Champion, Gary Player. Wayne is a diabetic and a strong advocate for JDRF. Neil Efron posing in front of the Florida Chapter hole sponsorship sign. Kaci Wilkinson demonstrates her determination to living an exceptional life despite the struggles of diabetes. 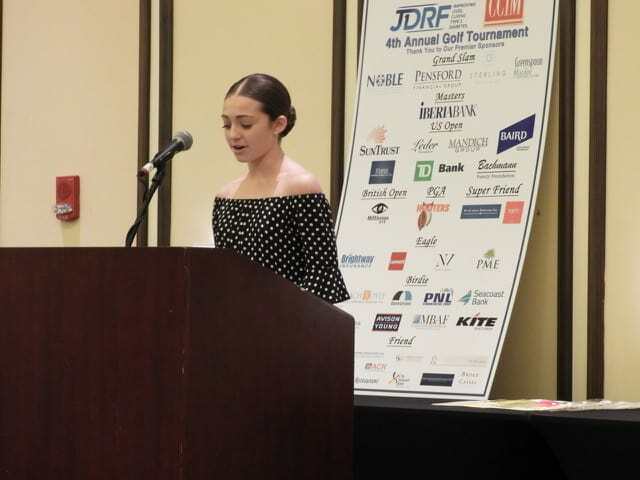 This eloquent and active 14-year old diabetic — who wears an insulin pump — sharing her story at the luncheon and speaking on behalf of JDRF.